we would be full into spring; after all we didn’t have much of a winter. of any significance since February 5th. windows and letting in new spring air, we will be turning the heat back up. as we are able to, we want to be outside. 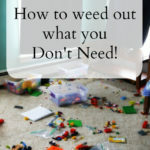 of “stuff” we have been able to get rid of. Where is the first place to start? 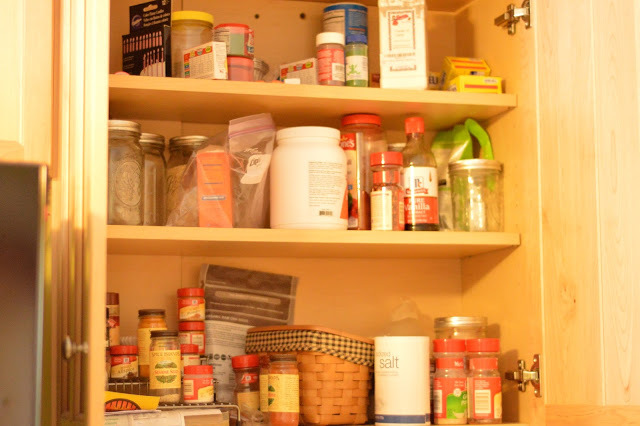 dry goods and spices are also in my cabinets. clean the cabinet and then put everything back in. a slower process that way, but it is what works for me. the rest of the kitchen anyways, so I might as well save them for last! and fall goodies is definitely important to me! to keep them occupied and feel like they are part of the job at hand. It's so true that as soon as the weather is even mild, I'm outdoors! I started my spring clean in the laundry room, but only because I needed the flourescent light in there to grow seedlings! Here in Florida we don't have that problem, but great post! I just helped my mema spring clean her pantry. Spring is here. I like to start in the kitchen and bathroom. But, this year I need to start in the winter-neglected Laundry room. I have bee busy purging my home as well. I will be tackling my kitchen next month! So much to do. So true! Sorting and organizing is so important to feel sorted and together! Great tips and hacks for any reader! 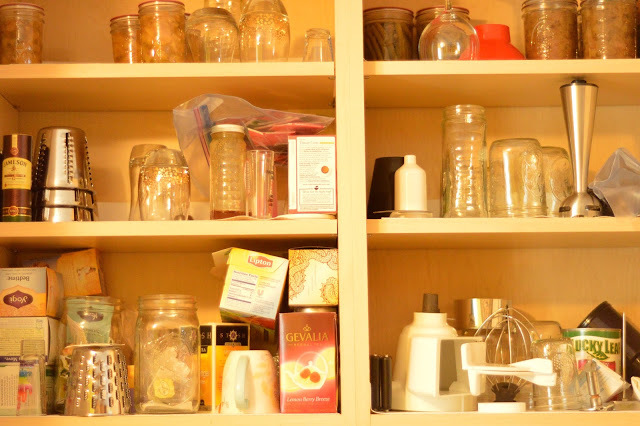 I have a few cupboards in the kitchen that need sorting…I hate doing it….even though sometimes I discover items that I didn't know I had. 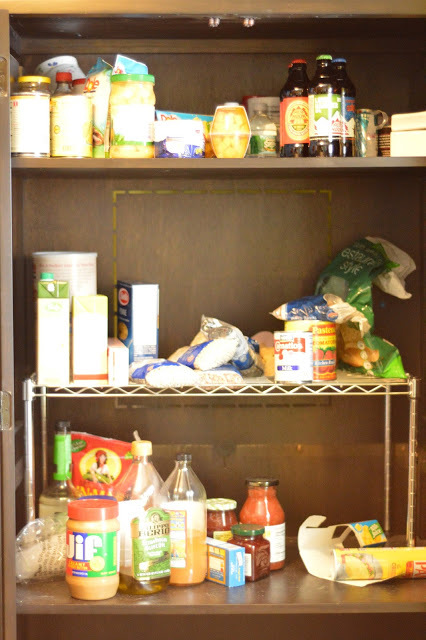 My Mom uses those racks in her shelves with much success…I wish I had more room to use them. Oh yes, I also have to do my spring cleaning and I need to start with the refrigerator and my wardrobe. Thank you for the reminder. I live in Florida (so thankful to have left the crazy winters of New Jersey behind last year!) but yes, spring cleaning is important. I'm looking forward to our new town's community garage sale next month – a good opportunity to purge some of the clutter! I'm pretty lucky that we've had a mild winter so it is actually spring here! 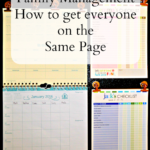 I agree with involving the kids in the cleaning…it has made my job easier and they see first hand an insider's view of running a household. It's so hard for me to be motivated when I'm cold and it's bleak outside. I'm actually more apt to clean when it's warmer outside. I like to get up earlier, get the work done, and have the rest of the sun shiny day to go out and enjoy it. I am the same. I want to spend time enjoying the nice weather and not holed up inside cleaning. It never was "winter" here in Texas this year. I love the vinegar and washcloth idea. It's always great to get the kids to help with cleaning. It's something they will need to know anyway for the future. I love spring cleaning. I especially love throwing out all the rubbish that's been sitting in the corner, looking at me, for the last couple of monts. We like to spring clean during the late winter months so once the sun pops out we can be outside playing! We have cold weather again but no snow. Thankfully. I didn't spring clean this year. Maybe a summer clean to catch up! Where I live we don't have any real winter weather. I do need to do some spring cleaning though. I have the Spring fever right now. Definitely in the cleaning mood! I love getting my kiddos to help with the spring cleaning too! It is just starting to warm up here, I am excited for cleaning! Luckily it's been warm in Georgia and we pressure washed everything in sight this past weekend. We don't really have seasons here in Hawaii, it's around 70 all year round, BUT! I'm from Pennsylvania originally so I get the urge to purge every spring! 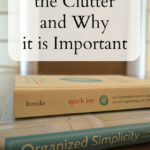 I can't relate to the winter weather BUT I love to spring clean, all year long! lol! 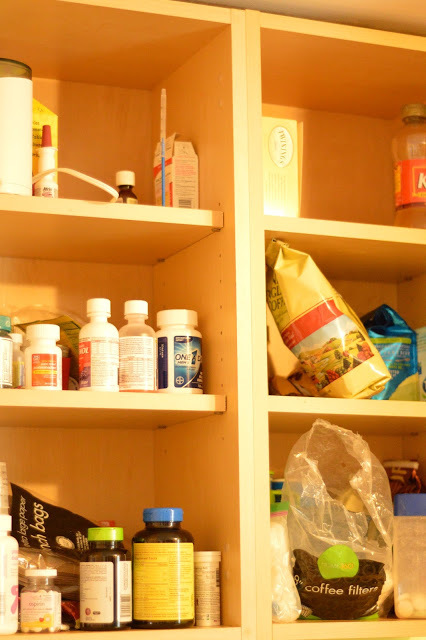 I love to clean out my cabinets – it makes me feel so much lighter! Even though it the second day of spring, it is actually windy and cold here in FL. Surprising I know. 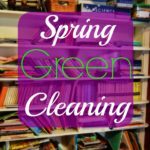 I don't typically do spring cleaning, but I will go through things every few months or when the organization isn't working for me anymore. It is getting springlike in Wisconsin, but the only thing that makes me want to clean is: company! Nonetheless, I try to clean the kitchen out every year. You are so creative in involving your kids. We are expecting snow on Thursday here in WI. I just can't do my spring cleaning without birds chirping and windows open! Love the idea of the towels and vinegar and making it a family affair! Many hands! Welcome Spring! The weather here in the UK isn't that bad but I oh so wish it was nicer. When I spring clean I start with my kitchen as well then I do the rest of the rooms. I however always get the kids involved, they're part of the household so why not? 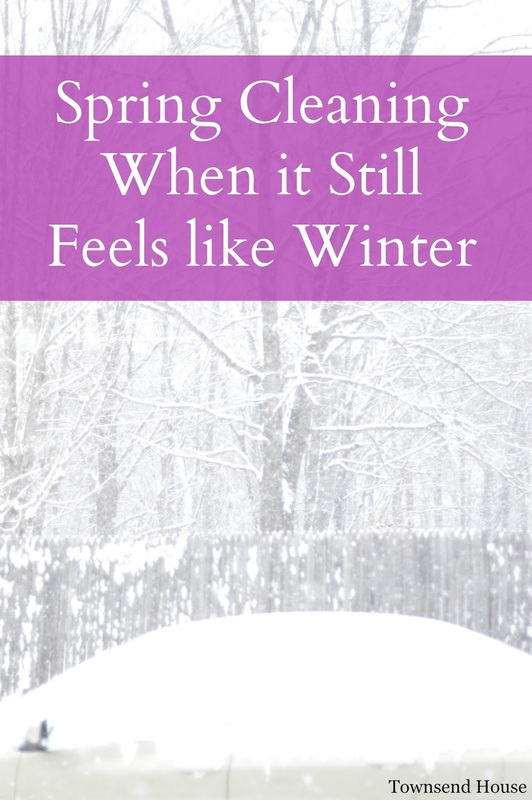 Oy vey – it is snowing here right now. It was spring, but now it's gone and my motivation went right along with it.